Robert Milliner was Chief Executive Partner of Mallesons Stephen Jaques from2004-2011. 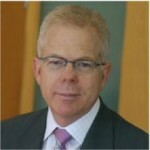 He retired from Mallesons on 31 January 2012 to take up a role in the corporate sector. During this time Robert led the firm’s regional expansion, including its combination with King & Wood to form King & Wood Mallesons, as well as a substantial change program focused on redirecting the firm’s business model aroundits culture, people and clients to increase retention and engagement of staff anddeliver an observable service difference to clients. Robert was a director of the Business Council of Australia from 2005-2011, and chaired the Business Reform Task Force and was a member of the Global Engagement Task Force. He was a participant in the 1st and 2nd Australia-China CEO Roundtables in Australia in 2010 and China in 2011. He was a director of Asialink – Asia Society Australasia Centre and is a member of the International Legal Services Advisory Council which advises the Federal Attorney-General on the export of legal services. Robert was Deputy Chairman of the firm’s Mallesons in the Community Board from 2004-2011 and also a director of Australian Business and Community Network and the Australian Charities Fund. He is chairman of the Foundation for Young Australians. He chaired the Large Law Firm Group which represents Australia’s 9 largest law ﬁrms and is the only law firm member of the Law Council of Australia, from 2006-2011. Robert has a Bachelor of Commerce and Bachelor of Laws (Hons) from the University of Queensland and an MBA from the University of Western Australia. In 2010 he attended the Advanced Management Program at Harvard Business School. Prior to his appointment as Chief Executive, Robert was Managing Partner, International for Mallesons based in Hong Kong. Robert has been ranked as one of the world’s leading energy and natural resources lawyers and written and spokenextensively on a range of legal and law firm management issues in Australia and overseas.